Other Hospitality reviews by real, verified users. Find unbiased ratings on user satisfaction, features, and price based on the most reviews available anywhere. 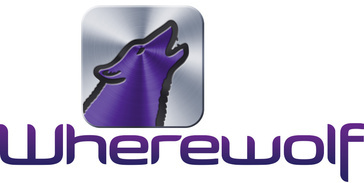 Wherewolf is the app for adventure tourism operators. We help business grow by managing customers from arrival to departure, replacing paper waivers and building a filterable database. Integrate with your reservation system or use as a stand alone service, Wherewolf's specialty lies in it's ability to be a complete solution for customer data and waiver capture from pre arrival to onsite bulk arrival management. Create trip manifests, groups customers, allocate staff and equipment. Make operations easy by turning your waiver into a useful, profitable tool. Revinate Marketing is a marketing automation solution for independents or multiple properties in a group is paired with Revinate Rich Guest Profiles so user can segment guests, create, and send targeted emails in under an hour. Revinate Reputation is a software that helps user capture, measure, and optimize the guest experience by bringing together all online reviews and social media mentions into a single, integrated view. ChowNow provides an online ordering system for restaurants. Delivers proven results for travelers, advertisers, publishers & suppliers around the globe. Connect CMS allows your hotel to very easily and rapidly curate great local content and connect this information to your guests. This same tool allows you to connect and communicate with your guests in their preferred manner. Cvents online platforms attract tens of thousands of event planners and travel managers. Our digital marketing tools help hotels and venues win new customers and grow their business, and our software solutions help hotels own their business by servicing their customers directly, efficiently, and profitably. NextME is a mobile app for businesses to help their staff manage their waitlist of customers. OPS uses iOS and Android tablets to deliver cost-effective and highly specific functionality to run your operations. Orissa CampWare is a suite of productivity tools that uses barcodes, proximity card, or smart card technologies allowing valuable personnel and facility data to be associated with each card. PerfectTablePlan allows you to manage guest details, RSVPs, meal choices, layout tables, automatically assign guests to seats, print plans/charts, and place cards or badges. RateIntelligence is a revenue management software that helps users to save time researching rates, set rates with more confidence and focus on their true competitors. Restaurant Call Center is a system designed to enable multiple location restaurant chains that helps with phone-in catering, takeout, and delivery sales from one location. Restaurant Focused Workforce Management is an automate payroll calculations, flexible wage tracking, quick online access, real-time payroll reports, stay ahead of labor laws, nationwide services, manage everything from one account, and easy tip management. RoomChecking is a cloud based hotel operations and guest relations software that enables hotels to elevate their guest experience. Targetvue is Aptech's hospitality-driven budgeting and forecasting solution.Targetvue can be utilized as a stand-alone tool or fully integrated in conjunction with our Profitvue accounting and Execuvue business intelligence systems, as well as with other accounting and BI products. TrustYou is a guest feedback platform that helps hotels leverage guest reviews to market and improve their hotel. InvoTech Uniform System manages uniform operations, and integrates RFID technology to operate, as well as provides critical information to cut labor costs and lower operating expenses. HotSpot Software is guest WiFi hotspot management software. Arcovo Hotel Loyalty is a customer loyalty software helps users to increase repeat visits from hotel guests by running the own in-house or in-group loyalty program. Atomize is a revenue management software that increases the revenues of hotels by automatically recommending the right room price at every given moment. AxisRooms Hotel Exchange is a solution help to discover and establish contracts between hotels and travel agents, tour operators, and corporates. AxisRooms Premium Rate Shopper is a business intelligence software that allows checking hotel's online rate disparity, compare hotel's online ranking, access market prices and download the data to excel reports for a detailed statistical analysis of hotel's market competitiveness through rate shopper. AxisRooms Revenue Management System is a software that helps to review hotel's key performance indicators with action-oriented insights and achieve dynamic pricing based on demand, season, a day of the week, and competition. Online reservation system and marketing management.CRM through e-mail with guests, Analytical online booking tracking tools. Beonprice is a revenue management software that helps users sales, marketing, financial and distribution departments make better decisons. We are the best solution to manage your timeshare/vacation club business, from lead management all the way to reservations and back office. BOOKSolved is a guestbook script with a lot of settings and easy to change template system. We design and build digital systems for the hospitability, food and leisure sectors. We help clients increase customer engagement and streamline operations. We are so passionate about the products we build and the sectors we build them for, we even set up our own restaurant. Buzzotel is a unique service for hotels that combines automated revenue management & dynamic pricing along with complete suite of hospitality technology to directly increase business for hotels across the world. CafeEngine helps cafe and restaurants to build their websites. Cantaloupe provides wireless machine monitoring and management solutions to the vending industry. BESTCoba CMMS is a cloud-based, maintenance mobile application that is specifically designed for hotels. It is customized to each individual hotel's inventory of assets and reports key performance indicators, preventative maintenance adherence, major asset tracking and inspection scheduling to each management company. CoInspect powers operations in thousands of restaurants nationwide by transforming cumbersome and daunting checklists into a sleek, user-friendly app experience. CoInspect makes it easy to manage compliance, brand standards, and daily operations across any organization. Connect Lobby is our all-in-one, touch-interactive platform built for performance and the highest caliber user experience. From the front desk manager to the laundry crew, we observed hotel staff processes to determine if technology could improve their connection to each other and to guests. The responsive web tools we provide allow you to extend your brand and communicate with guests - not just through mobile web apps, but across other channels that guests expect. Criton is a cloud software system which allows you to enter content regarding your holiday home or apartment and its location and then publish that to an app. Think of it as a digital butler. The CultSwitch Channel Manager supports hotels and accommodation providers with the transmission of availabilities and prices to the various distribution channels on the Internet. It also automatically retrieves bookings from the online booking platforms. Deterministics Labor intelligence helps you determine the precise amount of labor required to consistently achieve your brand standards. Dmbook Pro is a web-based application provided as a SaaS (Software as a Service) that offers a multi-functional platform to help hotels gain total control over their operations. Manage and promote accommodation capacities with ease. Create travel offers and keep in touch with your guests. Equip is an amazing tool that automatically generates recurring tasks for hotel managers. It uses templates to create tasks based on their frequency and the desired cycle (replacing flowers in the lobby, cleaning surfaces, etc.). Automate and track handling of guest requests, complaints and internal work orders from assignment to escalation and follow up. FCS Engineering is a multi-language web-based application developed to complement the management and maintenance of all assets within the hotel. General engineering service operations can be handled with ease whether creating ad hoc work orders, modifying previously scheduled engineering and maintenance services for guest rooms and public areas, or scheduling work requests over different timescales. Each work order is created and assigned based on staff skill sets and availability. Hi there! Can I help you find the best Other Hospitality solutions?